Babies"R"Us's annual Love-It list, in partnership with go-to baby resource, What to Expect.com, is an annual guide for parents to simplify their baby registry needs. Winner of a “Moms Love-It” Award, the Ergobaby Original Baby Carrier is a must-have for all babies! 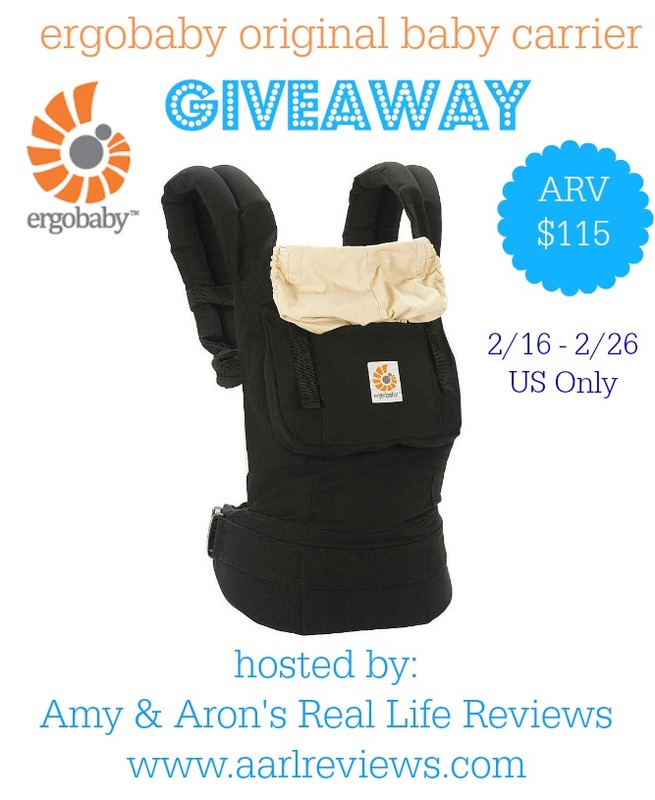 For your chance to win your own Ergobaby Original Baby Carrier, check out this awesome giveaway! Disclosure: Amy & Aron's Real Life Reviews, Stellar Manic Mommy, Momma Without a Clue, nor any other participating bloggers received compensation for sharing this giveaway. Good luck to all who will join the giveaway!!! Is this open WW? I like to have Ergo baby carrier although I am not pregnant yet. I have read good reviews about it e.